In the current global environment of sub-par growth, there is a strong case for increasing public investment in countries where conditions are right, finds a new study released in the IMF’s World Economic Outlook. 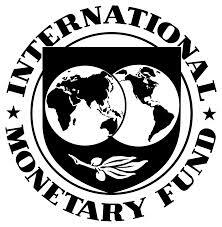 The study, which is published in the IMF’s October 2014 World Economic Outlook report, examines the macroeconomic effects of public investment in a large number of countries. The findings suggest that in countries with infrastructure needs, now is a good time for an infrastructure push. Many advanced economies are stuck in a low growth and high unemployment environment, and borrowing costs are low. Increased public infrastructure investment is one of the few remaining policy levers to support growth. In many emerging market and developing economies, infrastructure bottlenecks are putting a brake on how quickly these economies can grow. Infrastructure: where do we stand? Infrastructure is the backbone of everyday life, underpinning economic activity. There is no activity that does not rely on infrastructure in some form. Conversely, inadequacies in infrastructure are quickly felt— power outages, insufficient water supply, and decrepit roads adversely affect people’s quality of life and present significant barriers to the operation of firms. The stock of public capital, a proxy for infrastructure, has declined significantly as a share of output over the past three decades across the world. In emerging market and developing economies, gaps in the quantity of infrastructure per capita are glaring. For example, power generation capacity per person in emerging market economies is only one-fifth of the level in advanced economies; and in low-income countries it is about one-eighth the level in emerging market economies. In some advanced economies the quality of the existing infrastructure stock is deteriorating because of aging and insufficient maintenance. The study finds that increased public infrastructure investment raises output in the short term by boosting demand and in the long term by raising the economy’s productive capacity. In a sample of advanced economies, an increase of 1 percentage point of GDP in investment spending raises the level of output by about 0.4 percent in the same year and by 1.5 percent four years after the increase (see chart, upper panel). In addition, the boost to GDP a country gets from increasing public infrastructure investment offsets the rise in debt, so that the public debt-to-GDP ratio does not rise (see chart, lower panel). In other words, public infrastructure investment could pay for itself if done correctly. • The degree of economic slack. The short-term boost to output is substantially larger when public investment is undertaken during periods of economic slack and monetary policy accommodation, with the latter limiting the increase in interest rates in response to the rise in investment. • The efficiency of public investment. The output effects are also bigger in countries with a high degree of public investment efficiency, where additional public investment spending is not wasted and is allocated to projects with high rates of return. • How it is financed. In addition, evidence from advanced economies suggests public investment that is financed by issuing debt has larger output effects than when it is financed by raising taxes or cutting other spending. For economies with clearly identified infrastructure needs and efficient public investment processes and where there is economic slack, there is a strong case for stepping up public investment. Many economies have pressing needs for additional infrastructure to support economic development. However, the study finds that the gains from increasing public investment may be tempered and public debt-to-GDP ratios may rise if investment is inefficient. In this situation, the negative fiscal consequences should be carefully weighed against the broader social gains from increased public investment. For countries where infrastructure bottlenecks are constraining growth, the gains from alleviating these bottlenecks are likely to be large. Increasing the efficiency of public investment is critical to reap its full benefits. Thus, a key priority in economies with relatively low efficiency of public investment should be to raise the quality of infrastructure investment by improving the public investment process through, among others, better project appraisal, selection, execution, and rigorous cost-benefit analysis. While the scope for infrastructure investment differs across countries, there is no question, however, that it can be a powerful impetus for growth and jobs. The key lesson? Do it now, choose the right projects, and invest efficiently.